I was recently asked for tips about managing being a Thermomix consultant around a full time job. I have written blog posts about becoming a consultant, the training and the perks but I haven’t shared my experience as a consultant while working full time. And with an exciting limited time offer to join the team and earn your Thermomix I thought it was time I shared my tips with you all. 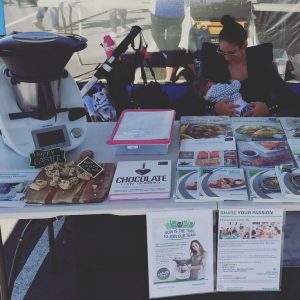 I’m on maternity leave from my full time job and after working through my postnatal depression have loved stepping back into my Thermomix business. So now I am managing being a consultant around being a mama – and that is a full time job! So whether you are working full time or are a full time mama this blog is for you! My Thermomix business brings so much fun and positivity into my life. Who doesn’t love eating great food? It’s so great being a part of helping people improve their lives through simplified cooking, improving their health and having more time for what matters. This used to balance out the negative parts of my full time job and now as a mama, it gets me out of the house and talking to adults (no more baby talk!). So here’s my top five tips of your Thermomix business. My #1 tip is know your why. Why do you want to be a consultant? Is it for financial freedom? To save money for a holiday? To get your Thermomix in your kitchen? To meet like minded people? To help people improve their lives? There are countless reasons why you would want to be a consultant and the only reason that matters is your big why. Starting your own business isn’t easy. It is a huge personal growth rollercoaster. You have to step outside of your comfort zone. Meeting new people, putting yourself out there, asking for the sale, fear of failure, even fear of success. Yes this is a thing! I had to work through this last year. Knowing your why helps you work through your personal development. Tip #2 is to plan ahead. Look at your weekly and monthly commitments. When are your non-negotiable times? Family time, special events, sport commitments, or even just down time. Set all of this in stone so you can then work out your availability for Cooking Experiences, deliveries, cooking classes and meetings. Working backwards like this will help you create boundaries. When you start you will want to book as many Cooking Experiences as possible and that is great. But if they affect your previous commitments or you find you over-extend yourself then you may feel burn out. And as an introvert I learnt the best thing to prevent burn out was to honour myself after a Cooking Experience or event. Introverts gain their energy from within themselves. So a nice relaxing bath was my favourite thing to do after a demo. A great tip I learned in training about planning was to book your cooking experiences every second week and use the alternate week for deliveries, admin and working on other parts of your business. Last week I had a cooking experience and two events. This week I have my follow ups and a delivery. I have also been lucky that I have been able to take Maya with me to my last few deliveries. Tip #4 is networking. Networking was a word I used to hate. I think that ties to my introvert personality and finding crowds drained my energy. But now I love it. I attended two events on the weekend and had a great time. So my tip with networking is to be open to all possibilities. With every encounter I always remind myself there are several outcomes of success such as booking a demo, making a sale, signing up a recruit and picking up a customer who doesn’t have a consultant anymore. They can be your biggest advocates because they may not have had the best customer service so they will love your help and rave to their friends and family about you. Tip #5 is support. Build your support system to help you build your business. Talk to your family and friends about what you want for your business. Talk to your team about your wins and losses. If you have a partner, talk to them about your plans and ensure you are both on the same page. Building a business has it challenges but it also has amazing rewards. I attended the local farmers market on the weekend and my lovely hubby walked down with our baby girl when she was due for her feed. As a breastfeeding mama being away from my baby takes a bit more planning if I need to express (we don’t have much of a freezer stash anymore) so to be away from her and still get to feed he was really special for me. And as I mentioned at the beginning of this blog post one of the rewards of starting your biz could be earning your Thermomix. 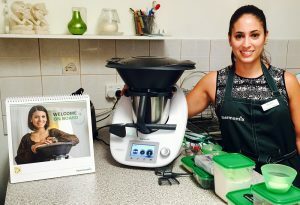 Thermomix in Australia have a limited time offer (Turbo Bonus Payments) where you can earn your Thermomix with just 4 sales within your first 60 days when you start your business before 30 June 2017! If you would like to know more about any of these payment options email me at tash@thermotash.com.au. The turbo bonus payment is intended to cover the cost of the Thermomix and contribute towards any fees and charges incurred in purchasing the Thermomix. You can view the flyer here. If you have any more questions about starting your Thermomix business please contact me. I would love for you to join my team. Even if you are not in my physical team (it’s refreshing that you join your local team and attend your local meetings and events) you will still receive support from me. I am studying to be a certified Wellness coach and would love to be able to put my coaching skills to good use and help you reach your goals! So what are you waiting for? Contact me here or Thermomix in Australia and start your own Thermomix business today! I have been quiet on the blog lately and I am excited to finally announce the reason for this is because I am pregnant! The fatigue hit me hard during this first trimester, especially weeks 4 to 8 but I am happy to report that I never had any morning sickness. I did have a lot of food aversions though! During the first 8 weeks I just couldn’t go anywhere near a salad or veggies, especially my greens. For a couple of weeks I did manage to get some greens into me by making yummy green smoothies. I even added broccoli which is something I never would have tried pre-Thermomix days! But unfortunately this green smoothie phase didn’t last long! I recently wrote about how one of the perks of being a consultant is being part of the final testing phase of the new Thermomix Recipe Platform. This made me realize I haven’t shared with you the perks of being a Thermomix consultant. The pizza dough recipe from the Basic Cookbook makes the perfect dough to create your own little ‘mummy’ pizzas. 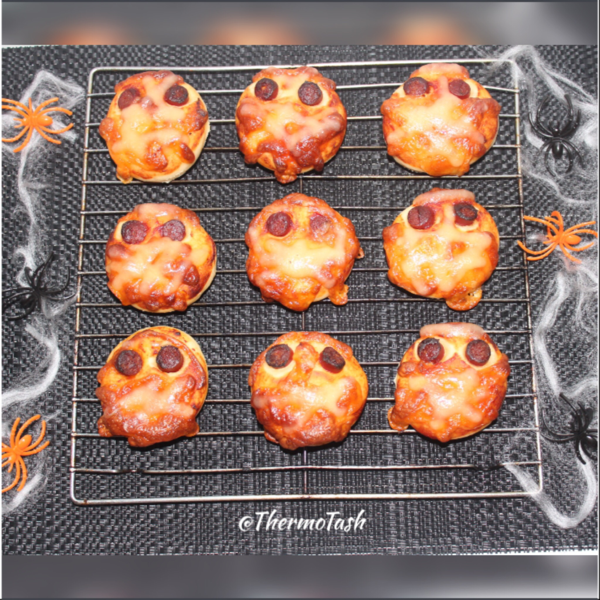 You will need the ingredients for the pizza dough, tomato paste, mozzarella cheese slices and twiggy sticks (or anything else you would like to use as the eyes). All you need to do is follow the recipe for the pizza dough. Once the dough is ready roll it out and use a cookie cutter to cut out your shapes. Cut the twiggy sticks into pieces and press them into the dough as eyes. Spread tomato paste to cover the ‘faces’. Cut the mozzarella cheese slices into small thin strips and then place across the ‘faces’ in a zig zag pattern. I hope you’ve been enjoying this blog series about how I became a Thermomix consultant. If you’ve just joined us you can read my blog post about becoming a consultant here. So after meeting the requirements of a Thermomix business it was time to start my training. I absolutely love the training that is provided by Thermomix! They really want to set you up to give you your best start in your Thermomix business. 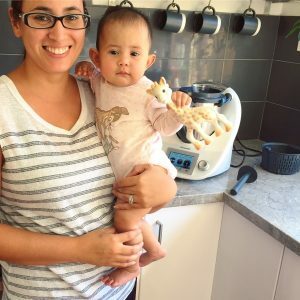 In my previous blog I wrote about how my Thermomix changed my life. I was unhappy with my full-time job when I went to my first demo and when I heard my consultant talking about how you become a consultant I felt like it was a light bulb moment. A sign from the universe. A year has passed since I made the decision to become a Thermomix consultant and I am happy to say that I am still in that full-time job. Working as a consultant and sharing my passion for this amazing appliance has helped balance out the negativity in my day job. It has also inspired me to become a Health and Nutrition coach. So while I am studying I am more than happy to keep my full-time job and share the Thermomix love in my spare time. I love sharing what inspires me to hopefully inspire you but I also love blogging. I created this website using WordPress because I love using it as for my personal blog FindingNQ and I think now is the time to start my Thermo blog. If you have been to one of my demos you will have heard the two ways my Thermomix has changed my life. In the lead up to turning 30 last year I began my health and fitness journey to get #fitandhealthybefore30 and as part of this I set myself a personal challenge to run a half marathon. I am proud to say that I followed through and ran my first half marathon in August 2014. But with all the training leading up to this I learned the hard way that you can’t out-exercise a bad diet. I was into junk food, processed foods, packet food and of course lots of chocolate. In October 2014 I went to my first Thermomix demo and when I filled out my questionnaire I ticked every box for the types of food you buy. It wasn’t that I couldn’t cook. It was more that I was time poor and had grown up as a super fussy eater. I just didn’t look at real food the right way.This all changed with my Thermomix and my journey to nourishing my body with whole foods began. Having a new shiny toy and exciting new cookbooks and recipe chips has made this journey a lot more appealing for the fussy eater in me.